What Did You Think Of This Season Of Game of Thrones? I know, I know. The season ended last week. But seeing as how we were knee-deep in E3, I didn't get a chance to watch the finale until much later in the week. So, I thought I'd do our normal post-GoT off-topic a week late. What did you guys think of this season? My thoughts, briefly: It was a stronger season than season 2, and not just because it had big exciting stuff like the Bear and the Maiden Fair and the Red Wedding. The pacing was better overall, and it pretty quickly shed that disjointed feeling it had at the start to become much more focused. 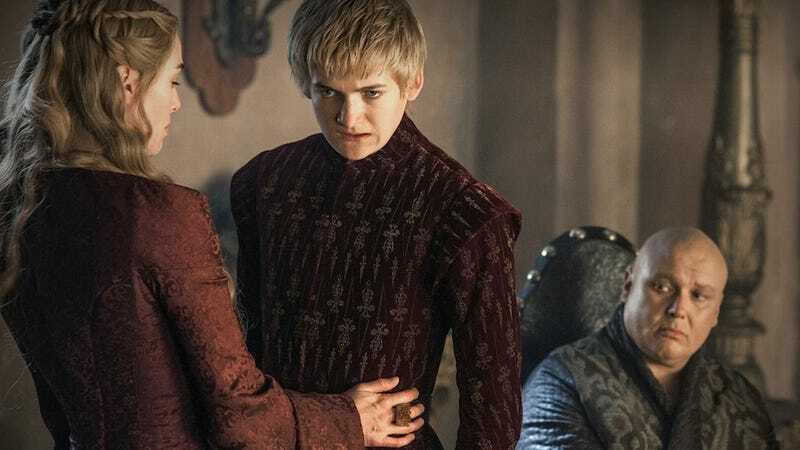 Given how sprawling things get over the next few books, I'm thinking the show will always have to battle with its fragmented nature, but as long as they can have great scenes like the one in the finale with all of the Lannisters (sans Jaime) together at one table, I'll be happy. So, generally speaking, good season. I'm curious to see how they do season four and onward, since at some point they're going to have to start combining the events of books four and five into several ongoing seasons. Can't have whole seasons without certain character, or those actors will head off and find other work. So, what did you think? Of the finale, and of the season as a whole? Let us know in the comments, and if you want to spoil some stuff that hasn't happened yet in the books, do add copious spoiler tags. And as always, for a very interesting, in-depth look at the season finale, check out Charlie Jane's recap over at io9. Did Game of Thrones finally explain where power really comes from?